PLASTIC SEAT-WHITE Plain design, comfortable and extremely resistant. Suitable also for small fishing crafts. FOLDABLE SEAT Extremely comfortable and resistant.Combined with all seat bases. ISCAYA XLT 00 MK2 – Tactical 17 with storage base on track-system with quick release mounts. Complete with all of the same features as our luxury high back seats, but finished in tough baked-on powder coat, these all-purpose high backs offer versatile comfort for mariners of all shapes and sizes. the all-purpose low back admiral seat finished in tough baked-on powder coat. Available in your choice of colors for the helm or Flybridge, the original STIDD is still the best value in marine seating. Shark LUXE Suspension Seat The Shark LUXE seat is used on high speed craft where comfort and adaptability is important. 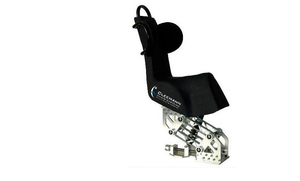 The headrest and folding armrests provide comfort for extended use and operator comfort. Ergonomic series of seats with fixed seat back, seat support made of marine ply. Cod. SBT3 Revolving seat with folding backrest and armrest manually mouved. It is mounted on a stainless steel gas spring pedestal. Sliding system included. Customer colors. A boat seat is usually for the vessel's helm, a fighting chair for fishing or deck furniture, including wooden chairs, lounges and similar items. A helm seat is essential for comfortable steering. Both interior and deck models are designed to limit fatigue during hours at the helm. Fighting chairs keep the user from falling overboard and ease strain on the back while battling large game fish. Deck seating includes canvas and teak chairs for sitting around a cockpit table, as well as chaise lounges for sunbathing. Both real and imitation leather are commonly used in both exterior and interior furniture because they are durable and stand up to seawater. Stainless steel frames offer the same advantages. Many deck chairs incorporate Dralon® or another fabric treated to resist UV exposure, and exotic woods that are not damaged by water. Some chairs are made of heavy-duty molded plastic. Helm seats and fighting chairs in particular are often adjustable and may have arm- and footrests. Some pivot on a central support column. Boat seats vary greatly in function, construction and sophistication. Some materials are unsuitable for use on deck. Request information from the manufacturer if necessary.